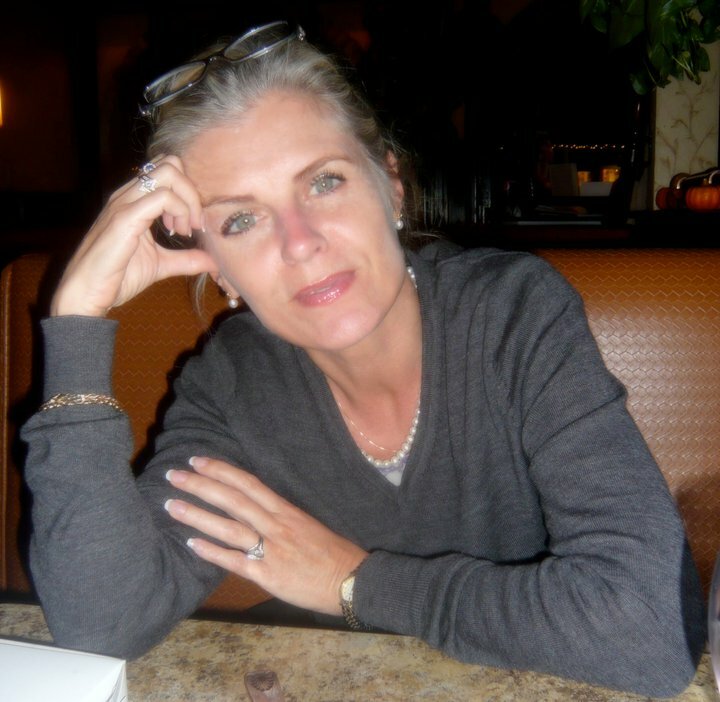 Helle Duus Alex founded and runs the SistaEnable initiative. A powerful example of resilience and inspiration, Helle’s story in her own words will leave you inspired. I was born and raised in Denmark in 1960. Denmark is a very liberated country, and women achieved the right to vote in 1915. My maternal great grandmother, my maternal grandmother and my mother were all nurses, like I am too – women in my family all have a strong tradition for caring for other people. I grew up being very close to my grandmother. She was a world traveler, born in 1910, educated in Canada and extremely independent. She said to me “men might think they are the head of the family, but women are the ‘neck that turn the head’.” It was the way women made decisions back in the days in Denmark, and I see how this is done in other parts of the world too. It is about time we take our own credits now, and realize the head and the neck are one – one part of a body with many different parts, which is only a strong whole, when we do not handicap it by keeping parts separate. I moved to the USA in 1985, and my kids have dual citizenship. In 1997 we started spending all our vacations in Italy, so my five kids have grown up with three very different cultures. I have been married a couple of times, had a few partners, enjoyed my relationships, and left in respect when the joy was hard to find. My kids are now grown, I am currently single and liking my independence. I have spent a great deal of my adult years as a volunteer for different organizations. I have always traveled a lot and I have visited most continents – always making it a priority to stay with locals, to learn from them. In 2010 I visited Central Africa to research for an article I wrote on small coffee growers, that I wrote for an American NGO. After having spent six weeks visiting different local projects, I came back really disillusioned, because it was so obvious that women were the driving force in everything that got done, and men were the ones to ripe the benefits. It seemed so unfair. After walking in Manhattan NY day and night for two weeks not being able to rest, one night I finally realized my disillusion was caused by the fact, that most projects were not sustainable. This word kept pounding my head – so one night I sat down and wrote the word on a piece of paper, thinking, what IS it about this word that wants something from me! Suddenly, I saw the obvious – in changing two letters – it said SISTAENABLE, which is pronounced the same, with a meaning that made so much sense – sista enable – the only way to make the world grow in all aspects, because a society with gender equal rights, has higher social, humanitarian and economic standards. There are SO many wonderful projects out there, all promoting gender equality, but we lack the overall sense of UNITY. So I came up with the name SISTAENABLE, and as Churchill came up with the hand sign of V for Victory, I came up with W for Women Will. We work with strong women and quality men promoting equality for women. We are all one. We move from an anthropological understanding against any kind of imperialistic thinking based on a desire for plain human rights, knowing that gender equality furthers social, economic and humanitarian standards. Therefore, 350+ people in 70+ countries worldwide have added SistaEnable to their Facebook list of work! We have a lot of people and organizations that have committed to the sistaenable thought, but at times it also seems as if our challenge comes from within the gender equality movement, as a lot of women are afraid to share connections, share ideas, share moving on together, as if there is a slight fear of competition between the different NGO’s. This is sad – we should all realize that we overcome much more if we unite and support each other and that our only real growth will take place when we work together and GIVE attention to what others have going on, and do our best to PROMOTE each others projects, instead of finding them a challenge to fight. I think we still have some male dominance left in the culture of practice, that we need to overcome. We overcome these challenges in keeping a focus on just continuing being the giving part. Through our Facebook page SISTAENABLE and our web-site sistaenable.org we keep promoting as many women and as many projects as we can, because this is really our main business. We do this through story-telling, short docs, news and information. We want to UNITE strong women and quality men and organizations who promote gender equality. We want the word SISTAENABLE to replace the word sustainable in all aspects where it makes sense to enable women to participate. 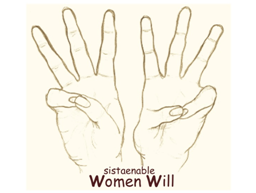 We want to create a mutual identity through the use of our hand sign of W for Women Will. We work with a lot of “quality men who promote equality for women”, because men are just as important for our work, and in some cultures even more, as women. So far all our work is voluntary – we have no money, we seek no funds, we pay no salaries – we do not even have a budget. Our work is done among the burning souls, those who really make a difference. I personally spend about six hours a day being in contact with people who work in or run gender equality projects, and I advise them through mails or skype, I promote their work and mainly and very important, I connect them with each other. I have huge database of connections, and people write me from left and right with ALL sorts of issues that I cannot solve, but most often I can find someone who can. We have lots of success stories to share – as we have grown to be globally recognized within the four years we have existed. Our partnerships range from anything between educating about the damage of the culture of child brides, FGM, marital oppression of wives, the importance of education, the stop of violence of women, human trafficking, equal pay, trans gender issues, freedom of speech, independence, etc … all based on an anthropological understanding, as we do not believe in imperialism but instead on mutual respect, based on human rights for all. Naturally our long term goals are to UNITE women, whether organized or not, under one flag; the hand sign of W, which should be used in all gender equal demonstrations, speeches, shows and gatherings, to peacefully show the world that Women Will, promote gender equal rights. We will continue moving towards this goal through promoting others as much as we can.